Toastmaster Elizabeth Leigh Wilson OAM was featured in the Parramatta Sun for her recent Medal of the Order of Australia, which was announced on Australia Day 2016. 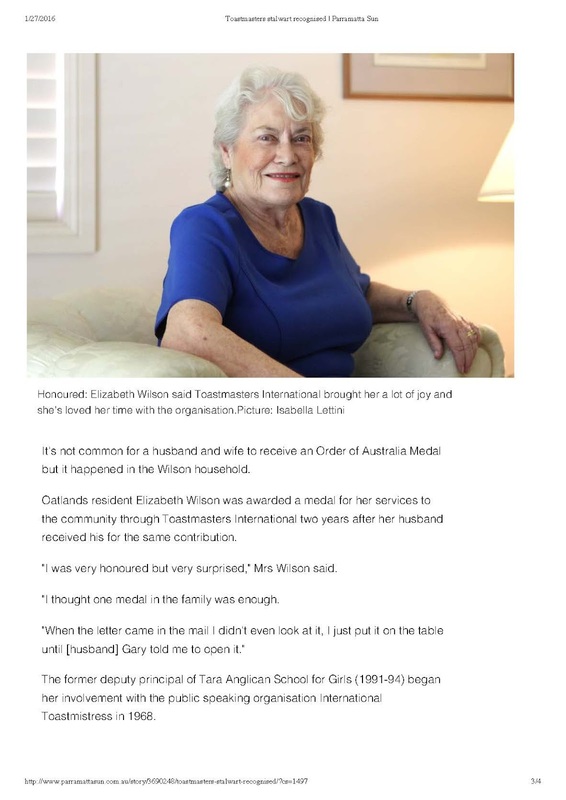 Fairfax journalist Flora Cauchi wrote an insightful piece about Elizabeth. This article was published in the 27th January 2016 edition of the Parramatta Sun. Elizabeth was photographed by Fairfax at home in her favourite arm chair. Photographers included Gene Ramirez and Isabella Lettini. Cauchi wrote about Elizabeth's early membership, teaching career, cancer, her husband Gary's OAM, and the progress of women in Toastmasters. 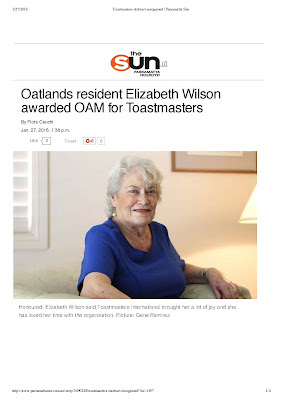 Elizabeth was delighted to have spoken with Fairfax about her surprising award.